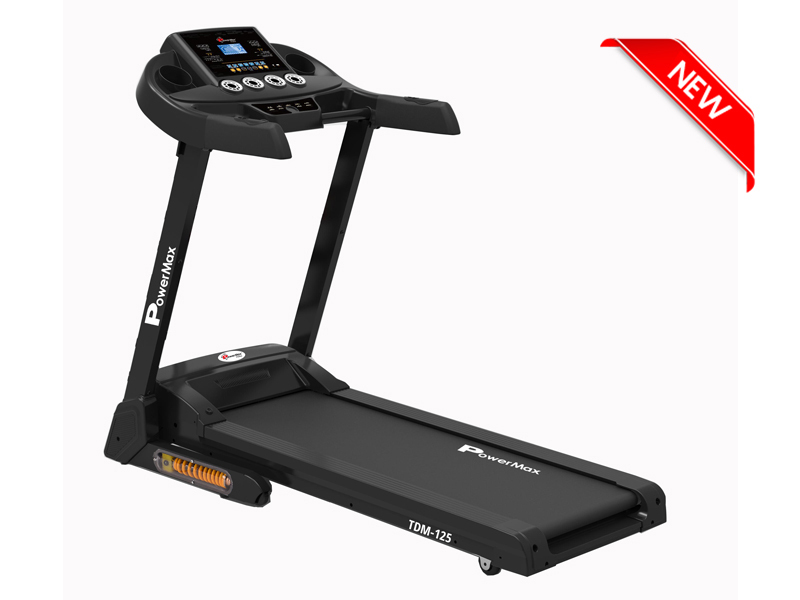 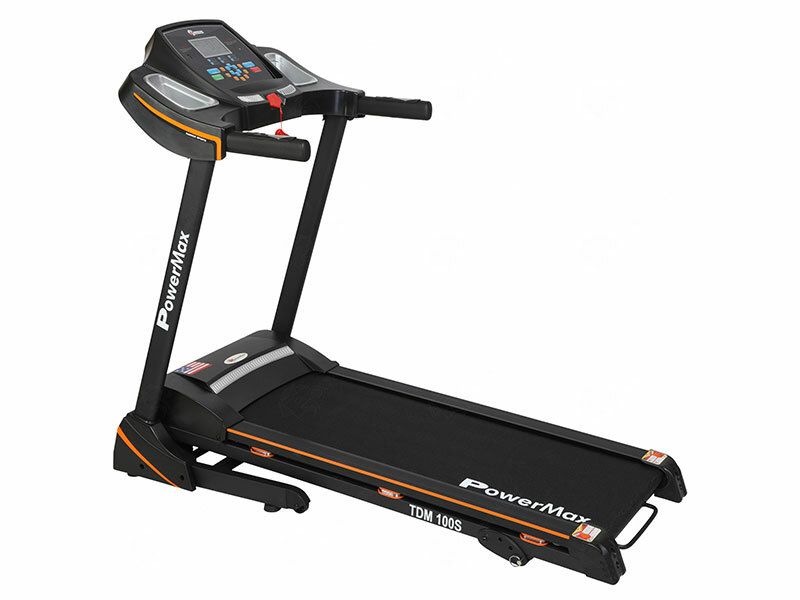 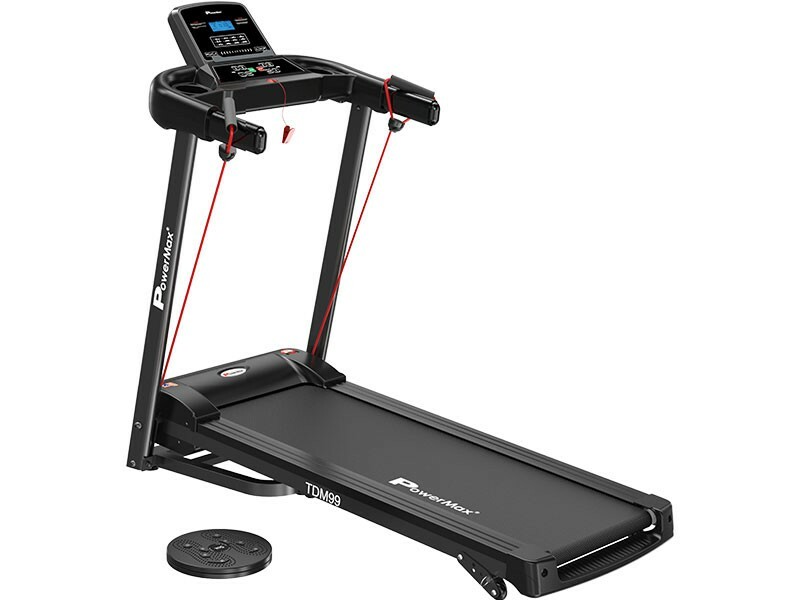 The Powermax Fitness TDM-99 Multi-function treadmill with Twister and Resistance Ropes that offer 2.0 HP DC Motor. 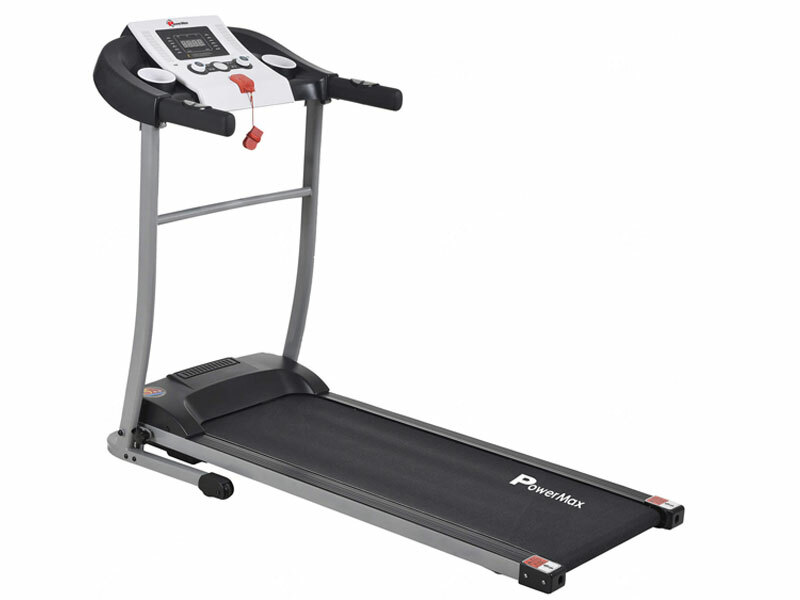 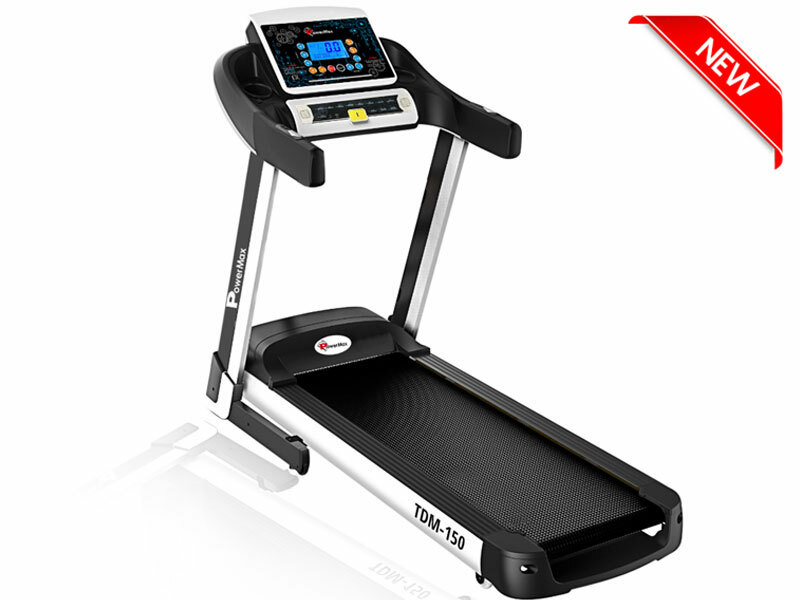 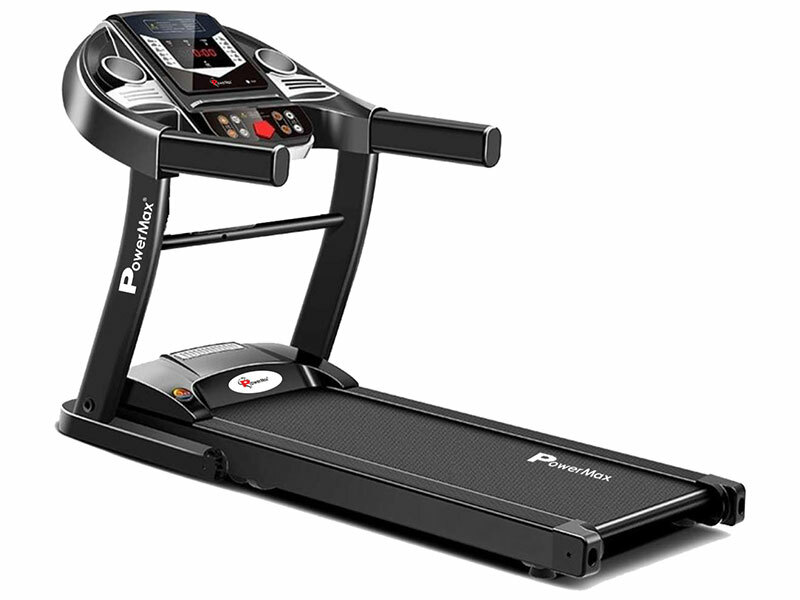 The treadmill has width running surface of 45.2 x 15.9 inches/ 1150 x 405mm and it also has 3 level manual incline. 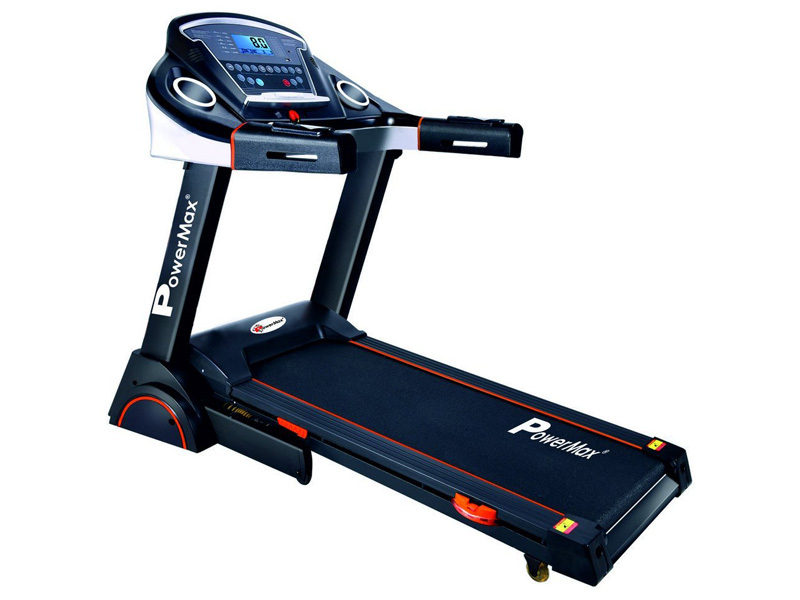 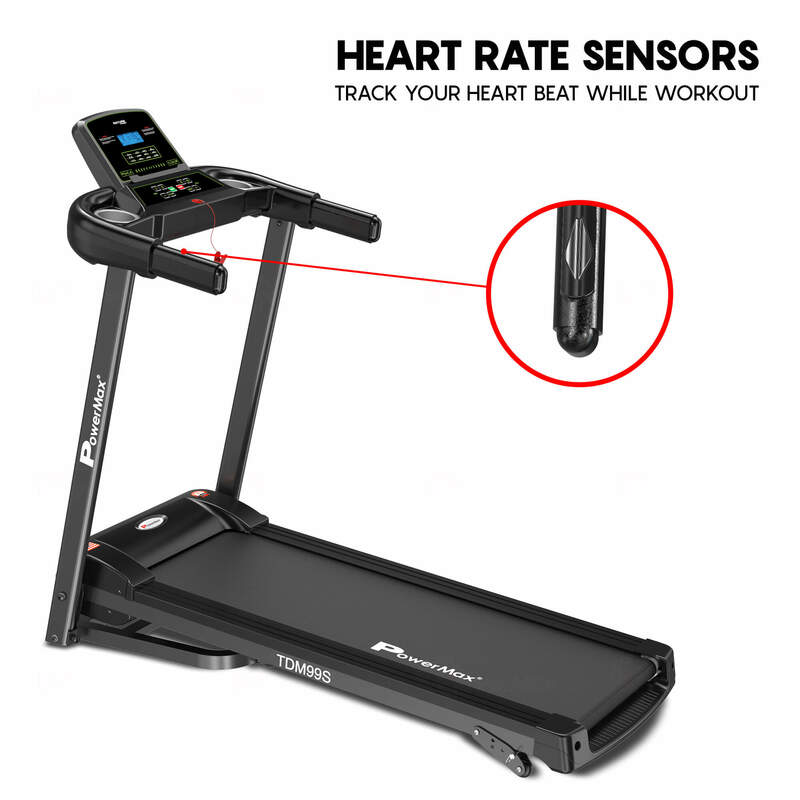 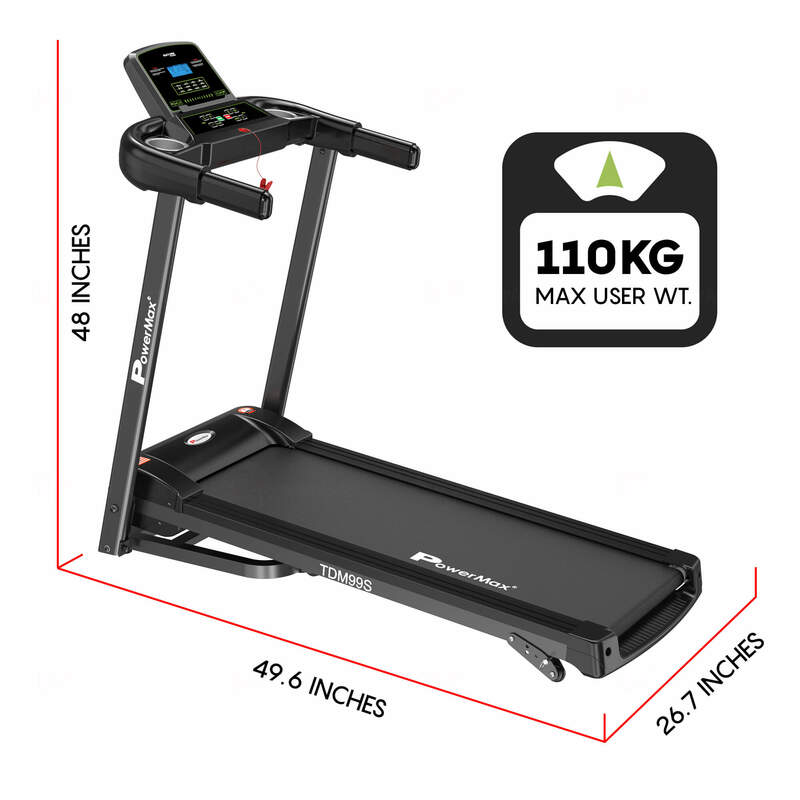 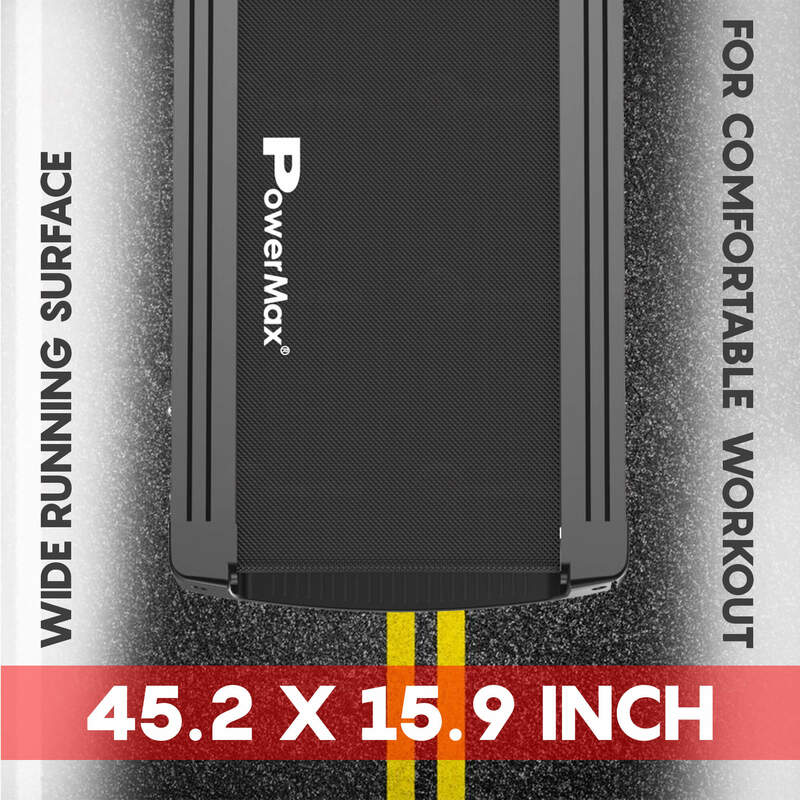 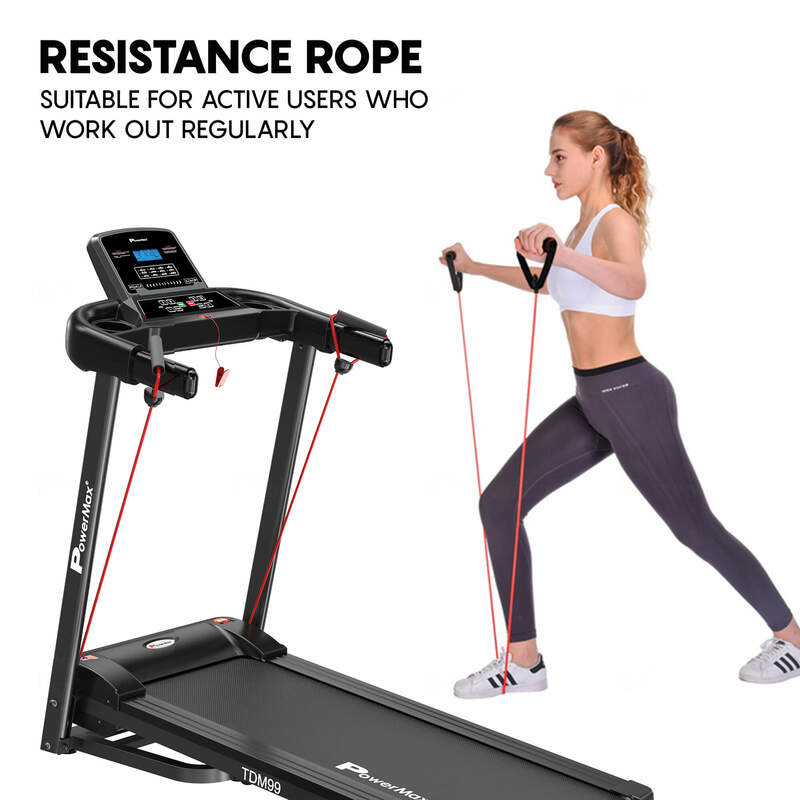 The Treadmill’s running belt is 1.8mm thick Multi-Ply polyester satin weave multi-layer that helps to reduce shock and PVC non-slip surface for better, skid proof and rebound resilience function so one can run with comfort and durability. 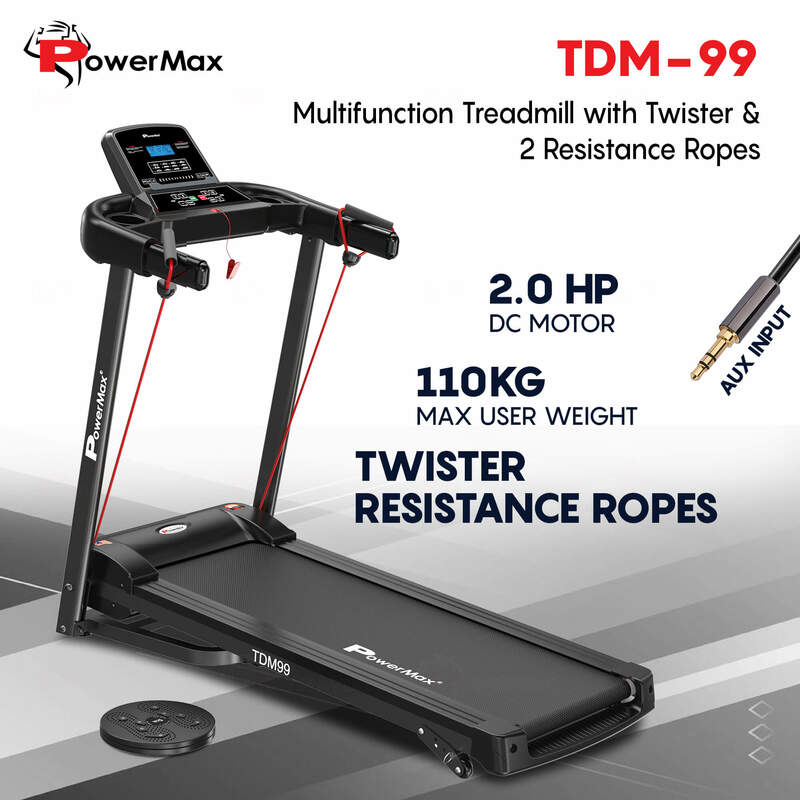 The Powermax Fitness TDM-99 Multi-function treadmill with Twister and Resistance Ropes that offer 2.0 HP DC Motor. 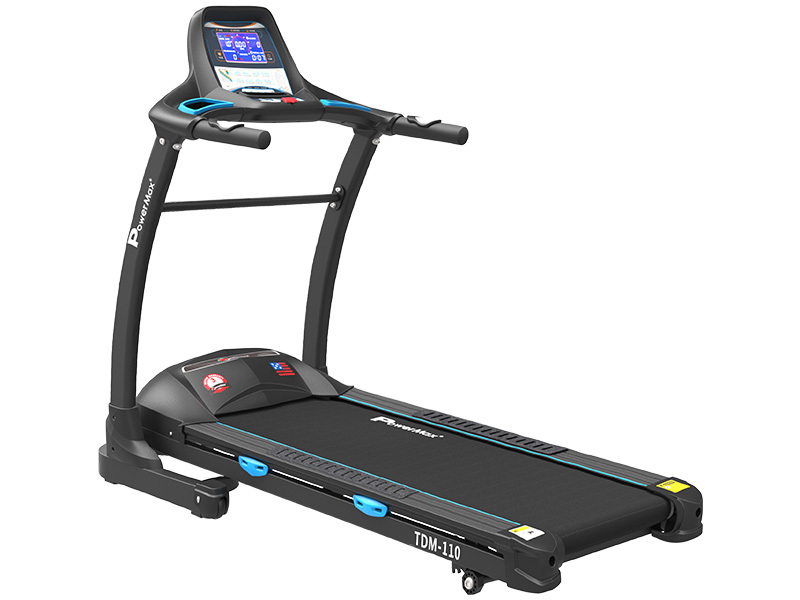 The treadmill has width running surface of 45.2 x 15.9 inches/ 1150 x 405mm and it also has 3 level manual incline. 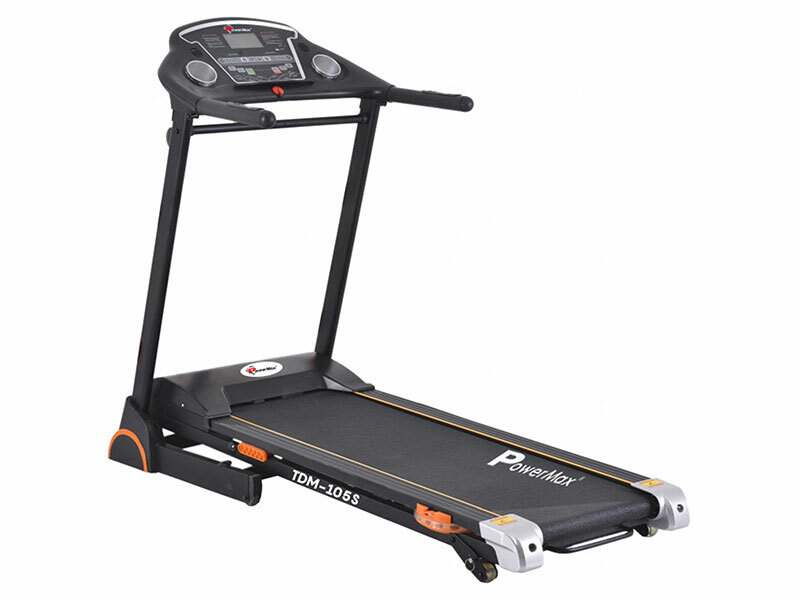 The Treadmill’s running belt is 1.8mm thick Multi-Ply polyester satin weave multi-layer that helps to reduce shock and PVC non-slip surface for better, skid proof and rebound resilience function so one can run with comfort and durability. 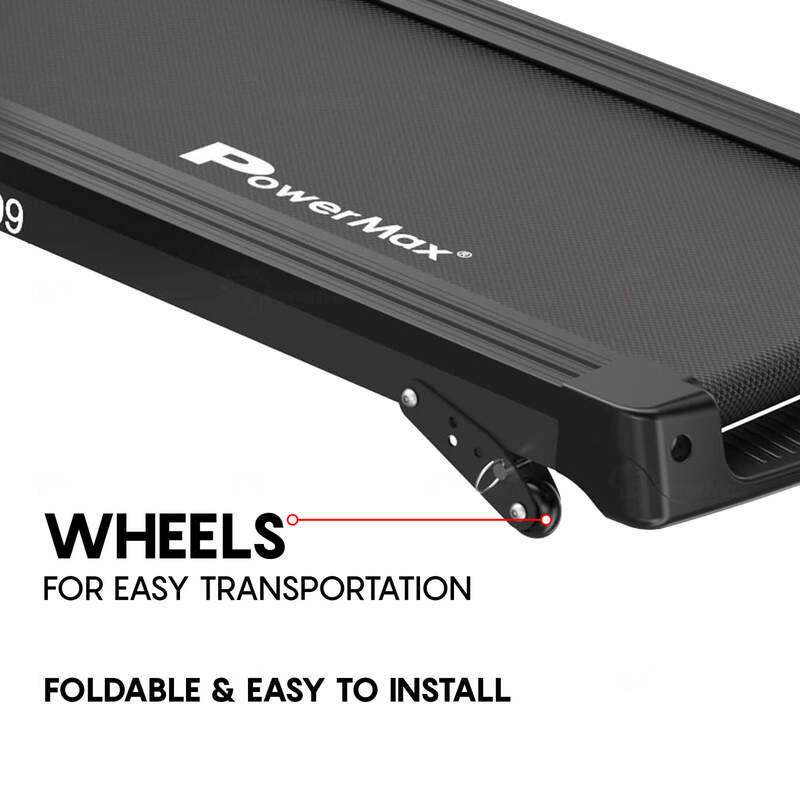 TDM-99 has Precision-machined, steel crowned rollers with dynamic balancing keeps the belt centered and ensures smooth movement of running belt and increases the life of bearings and running belt. 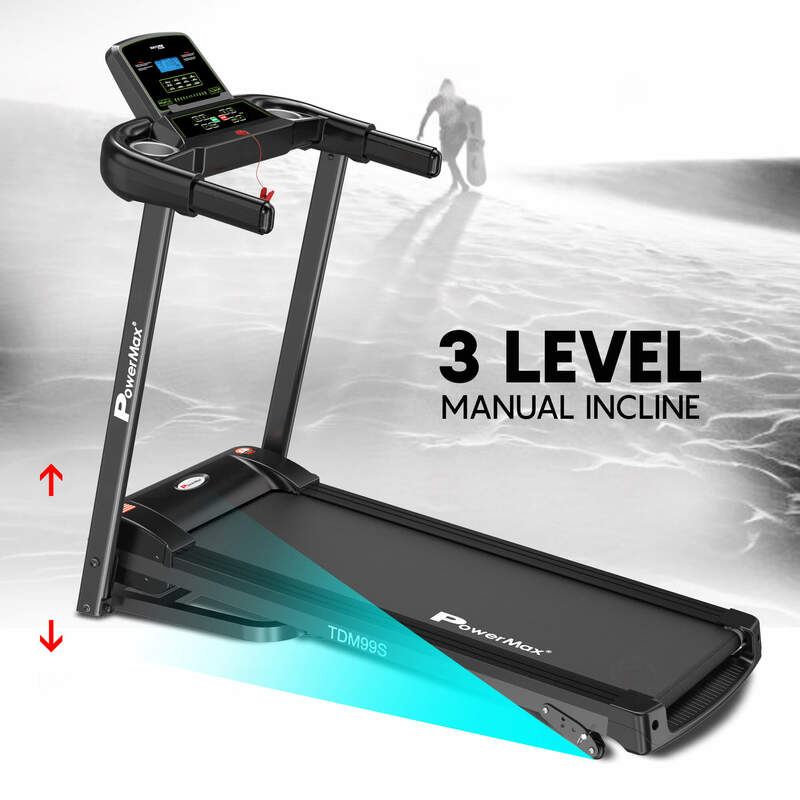 The treadmill has rubber cushion shock absorption equipped with a double layer running board to reduce stress on your joints. 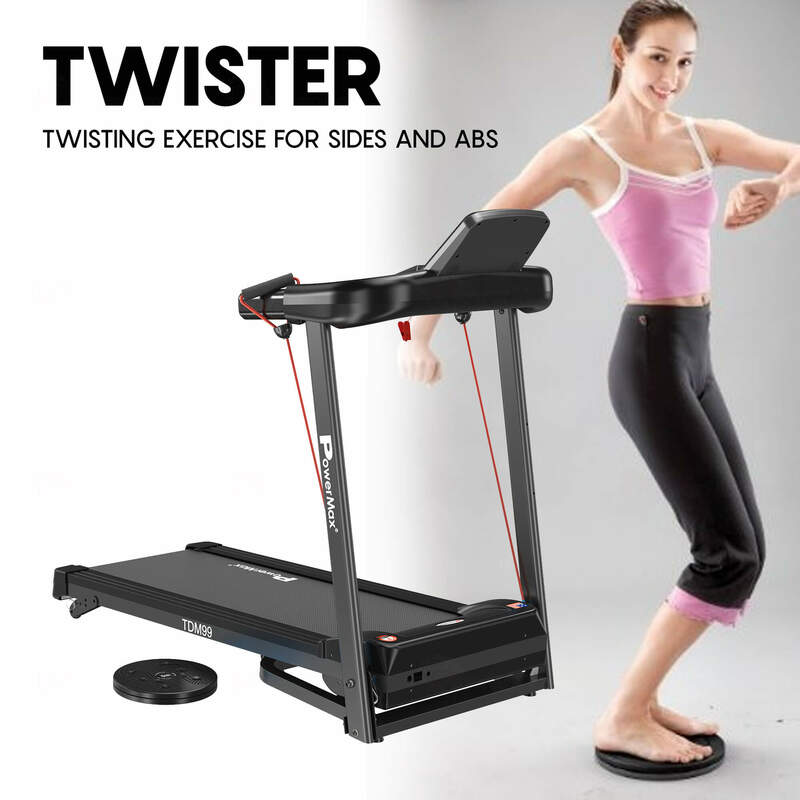 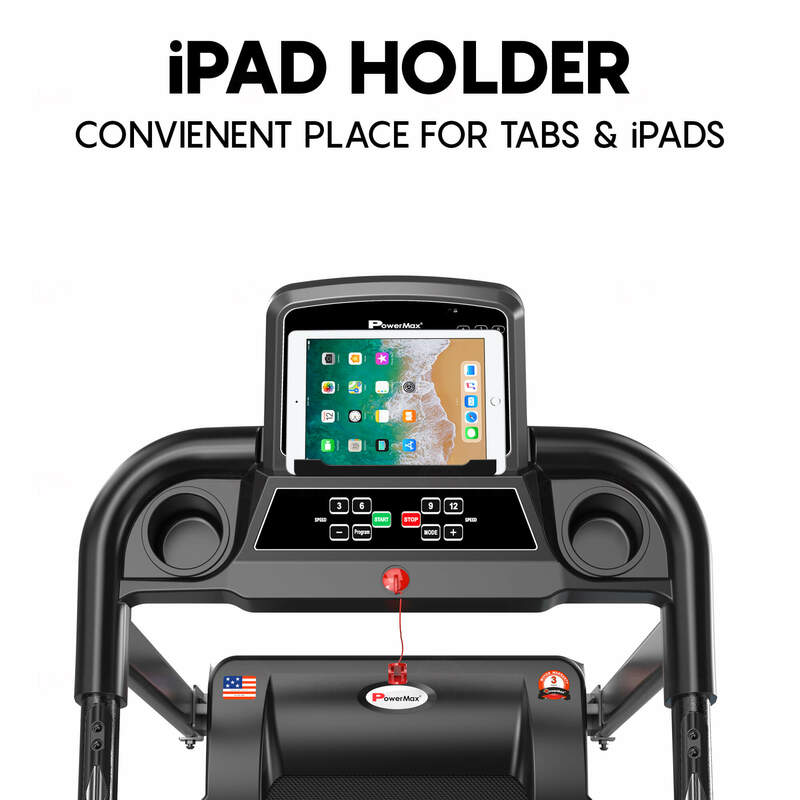 There are other features that treadmills have AUX input, iPad holder, wheels for easy transportation, 2 pieces of resistance rope for hand exercise to gain muscles and twister to twist your body lose some sweat and stay fit and fine. 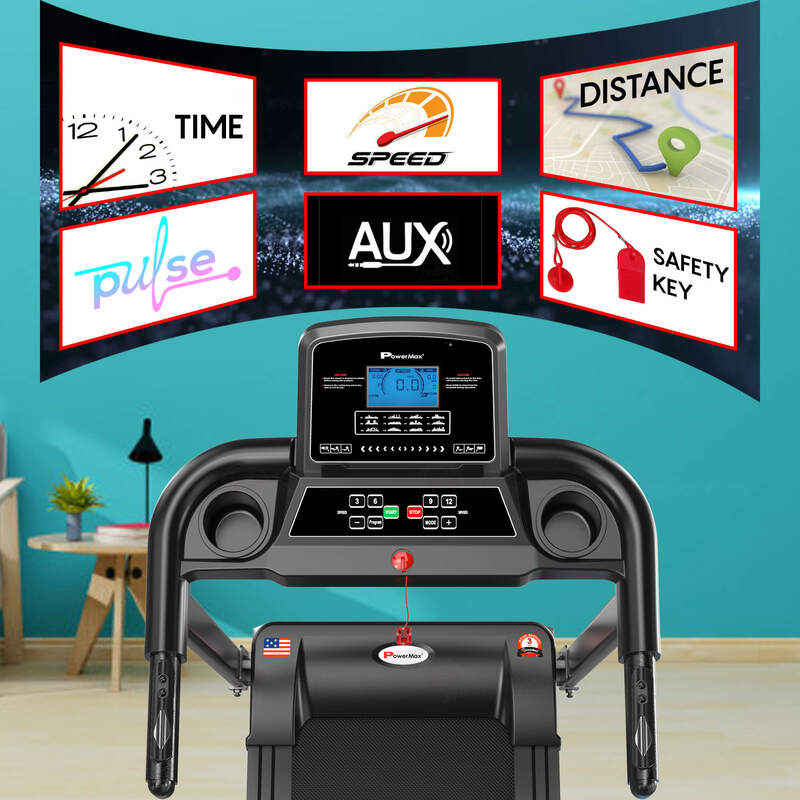 The machine has Blue led display and shows the time, speed, calories, distance, and heart rate and there are 12 pre-set programs and 3 target based modes. 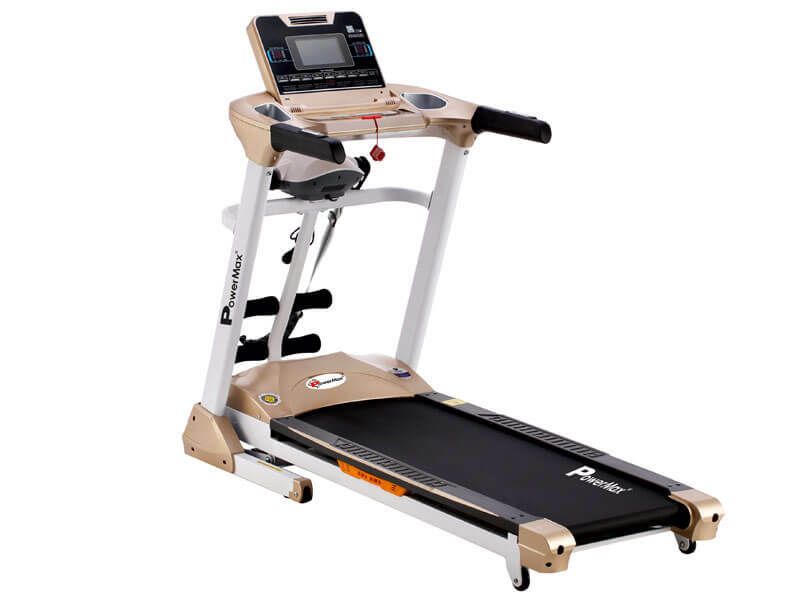 The treadmill is 90% pre-installed machine assembled state and tools and fittings are provided for DIY installation and Installation video present in the image tab and on official YouTube channel.